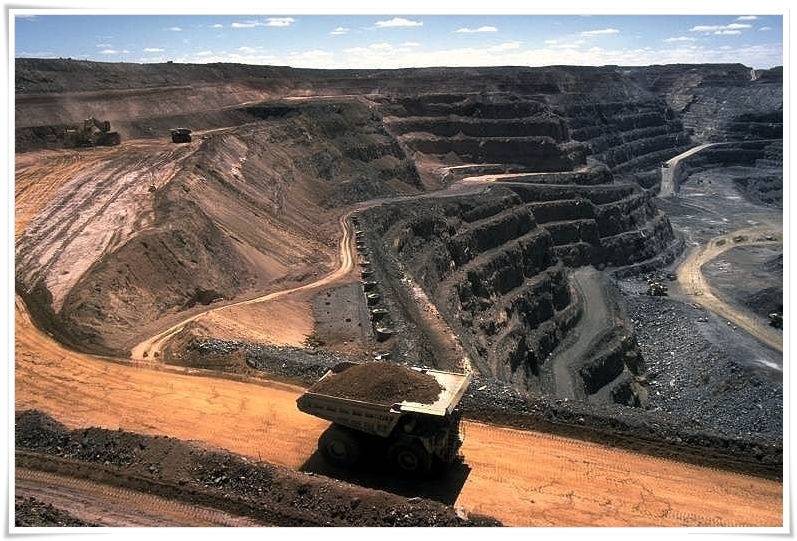 Through our direct contact with mines we can offer and deliver to you any kind of coal. Coal is composed primarily of carbon along with variable quantities of other elements, chiefly hydrogen, sulfur, oxygen, and nitrogen. Throughout history, coal has been a useful resource. It is primarily burned for the production of electricity and/or heat, and is also used for industrial purposes, such as refining metals. A fossil fuel, coal forms when dead plant matter is converted into peat, which in turn is converted into lignite, then sub-bituminous coal, after that bituminous coal, and lastly anthracite. This involves biological and geological processes that take place over a long period. 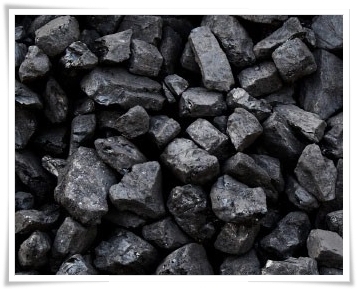 Coal is the largest source of energy for the generation of electricity worldwide, as well as one of the largest worldwide anthropogenic sources of carbon dioxide releases. In 1999 world gross carbon dioxide emissions from coal usage were 8,666 million tonnes of carbon dioxide. Coal-fired electric power generation emits around 2,000 pounds of carbon dioxide for every megawatt-hour generated, which is almost double the approximately 1100 pounds of carbon dioxide released by a natural gas-fired electric plant per megawatt-hour generated. Because of this higher carbon efficiency of natural gas generation, as the fuel mix in the United States has changed to reduce coal and increase natural gas generation, carbon dioxide emissions have fallen. Those measured in the first quarter of 2012 were the lowest of any recorded for the first quarter of any year since 1992. The principal use of Thermal (or also named: Steam) Coal is power generation. Nearly 39% of the world’s electricity is generated through the use of thermal coal. oke is a solid carbonaceous residue derived from low-ash, low-sulfur bituminous coal from which the volatile constituents are driven off by baking in an oven without oxygen at temperatures as high as 1,000°C (1,832°F), so the fixed carbon and residual ash are fused together. Metallurgical coke is used as a fuel and as a reducing agent in smelting iron ore in a blast furnace. The result is pig iron, and is too rich in dissolved carbon, so it must be treated further to make steel. The coking coal should be low in sulfur and phosphorus, so they do not migrate to the metal. The coke must be strong enough to resist the weight of overburden in the blast furnace, which is why coking coal is so important in making steel using the conventional route. However, the alternative route is direct reduced iron, where any carbonaceous fuel can be used to make sponge or pelletised iron. Coke from coal is grey, hard, and porous and has a heating value of 24.8 million Btu/ton (29.6 MJ/kg). Some cokemaking processes produce valuable byproducts, including coal tar, ammonia, light oils, and coal gas. 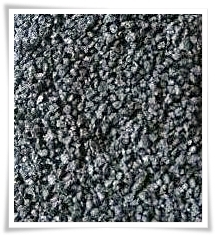 Petroleum coke is the solid residue obtained in oil refining, which resembles coke, but contains too many impurities to be useful in metallurgical applications. We are offering high quality Coking Coal, procured from reliable vendors of the industry. All our vendors are quality tested, and endeavor to provide high grade coal extracted using advanced equipments. Our coking coal is of high quality as effective for the coking as widely used both for the domestic and commercial purposes. These Coking Coal is available at industrial leading prices and normally used to melt iron ore and other iron bearing materials in blast furnaces. The Coal is reacting as a chemical reducing agent and a source of heat. he table below lists the composition for raw petroleum coke produced in a delayed coker and the corresponding composition after the raw coke has been calcined in a rotary kiln at 1200 to 1400 °C. The raw coke is classified as sponge coke and often referred to as green coke. The adjacent photograph on the right depicts a sample of typical calcined petroleum coke. Depending on the feedstock composition and certain operating variables, other forms of coke may be produced such as shot coke and needle coke. However, sponge coke is the form most typically formed and this article does not discuss the other forms. 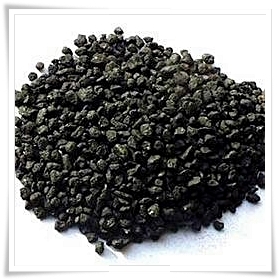 Raw Petroleum Coke mainly used as fuel by many industries Green Petroleum Coke is used for further calcination to produce following products: calcined petroleum coke used in aluminum, graphite industries CPC Breeze used in refractories and other specialty industries. International trade and consultancy of raw materials is our core business. Together with certified partner companies we provide your requested product and operate logistics and delivery to your selected port. Our partners are well known companies and we have worldwide connections to be able to offer along your needs. We only offer what we can provide and will keep our promises to your best. This is what we also expect from customers, agents and mandates. Copyright © 2013 Xeron ESK AG.